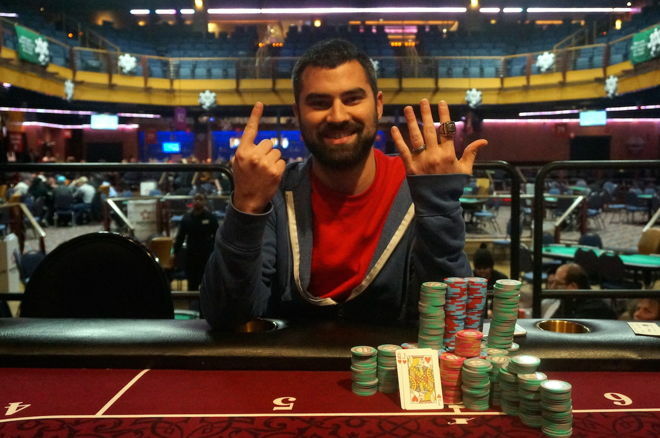 A pro poker player Kyle Cartwright has won his sixth gold ring playing at World Series of poker Harrah’s Tunica. 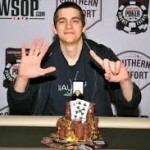 This was the event#8 of the championship to which Cartwright played out and won the first prize of $29,484. The tournament attracted 457 players which created a prize pool of $137,100. 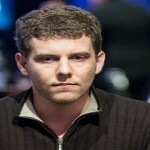 Cartwright is a very well known in poker and till date he has made more than $1 Million playing at many top poker festivals including World Series of poker hosted tournaments in the United States. 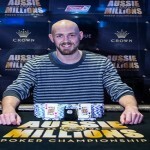 Cartwright was the poster boy of the WSOP Circuit back in the year 2011, where he made himself through to the WSOP national Chamionship of $1 Million freeroll. The last event to which Cartwright did well was at World Series of poker Event#4 for the $1,000 No Limit Hold’em, back in the year 2014 where he won the gold bracelet as well as collected the first prize of an amount $360,435. Cartwright was very happy after this great win and said to the reporters that “It’s been a long time”, and it feels great when you win like that because I was waiting for this moment since 2012.Total earning till date for the player now exceeds to $1,008,422. 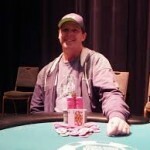 Cartwright defeated another pro poker player from the United States Josh Palmer, who was the runner up at the event. Alex Masek is top with total nine gold rings; followed by him is Chris Reslock with seven gold rings, Ari Engel with 6 gold rings and Valentin Vornicu with total six gold rings. Looking to play online poker? You are at one of the best poker destinations. Realpokeronline.co.uk is one of the leading online poker portals which provide you the best of the poker industry deals, latest poker news, updates about winners and losers and plenty more things, that are going to be very valuable to you. Check this out and have lots and lots of fun.